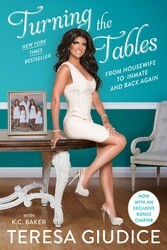 The star of The Real Housewives of New Jersey and three-time New York Times bestselling author offers a behind-the-scenes look at life in prison, her marriage, her rise to fame, the importance of her family, and the reality TV franchise that made her a household name in her explosive and ultimately uplifting first-ever memoir. People think they know everything about me, but they don't. Not even close.